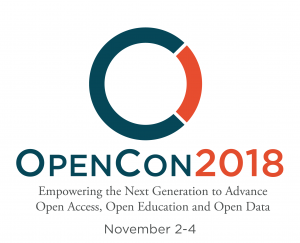 Portland State University Library is pleased to sponsor a scholarship for one early career researcher to attend OpenCon 2018. OpenCon is a platform for catalyzing change in this culture, at scale and in context. OpenCon’s programs work to develop, activate, and connect a global community of next generation leaders who are driving the culture shift toward open locally, nationally, and internationally…OpenCon’s flagship global meeting helps drive this culture change by bringing together the most energetic, engaged students and early career academic professionals. Participants learn about Open Access, Open Education, and Open Data, develop critical skills, find collaborators, and catalyze action toward a more open system for sharing the world’s information—from scholarly and scientific research, to educational materials, to digital research data. Eligible applicants must be early career professionals at Portland State, with 10 years or less experience post-terminal degree in their field. The application deadline is August 15, 2018. The recipient will be notified by September 30, 2018. Apply here. For questions, please contact Jill Emery, jemery@pdx.edu, Collection Development and Management Librarian.